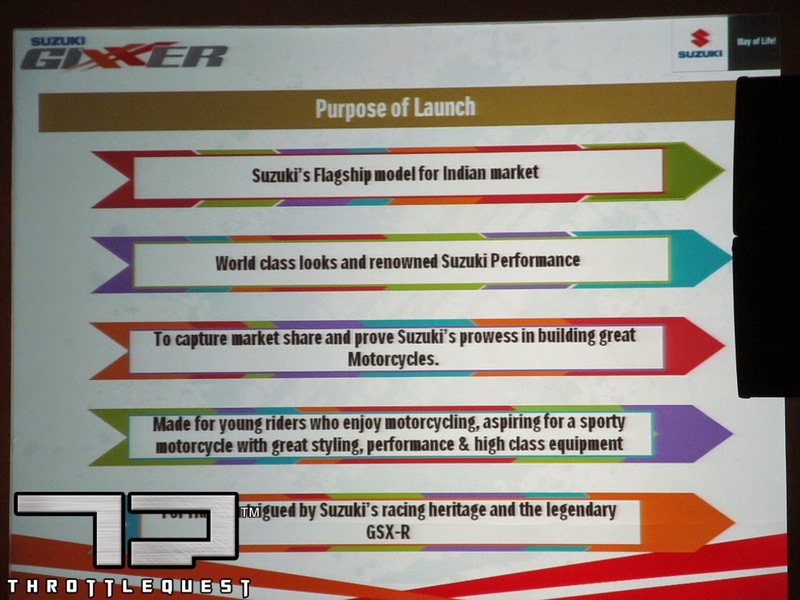 September 9, 2014 was an important day for the Indian Motorcycle Industry with two manufacturers extending their bike lineup with new launches in different segments. 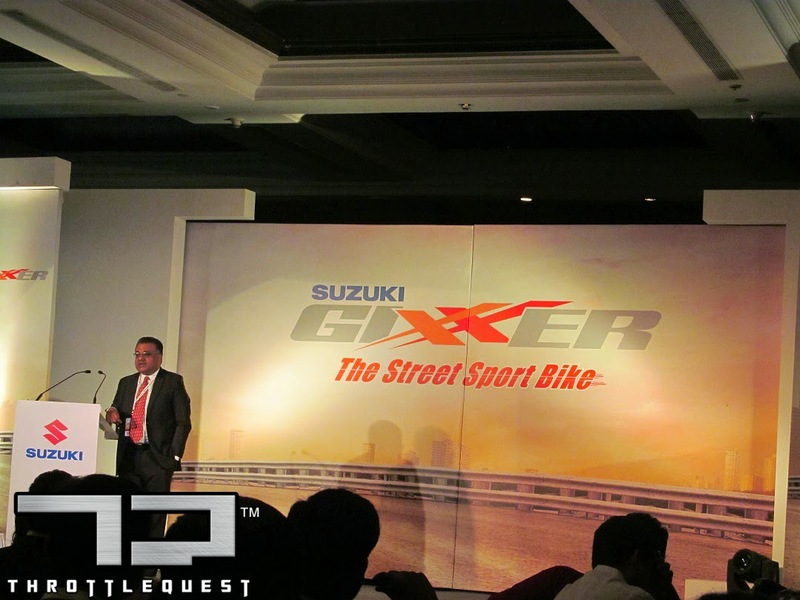 Suzuki launched an all new 150cc motorcycle Gixxer for the "young riders" in urban India. 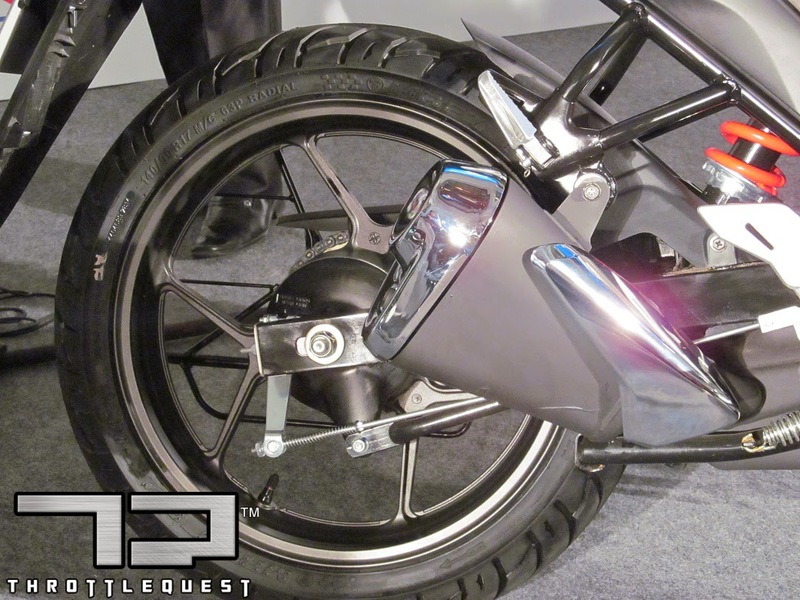 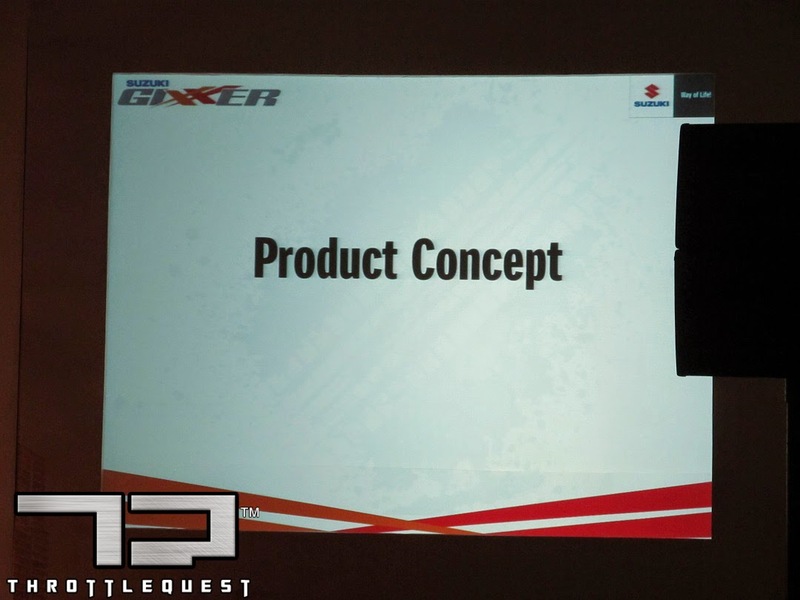 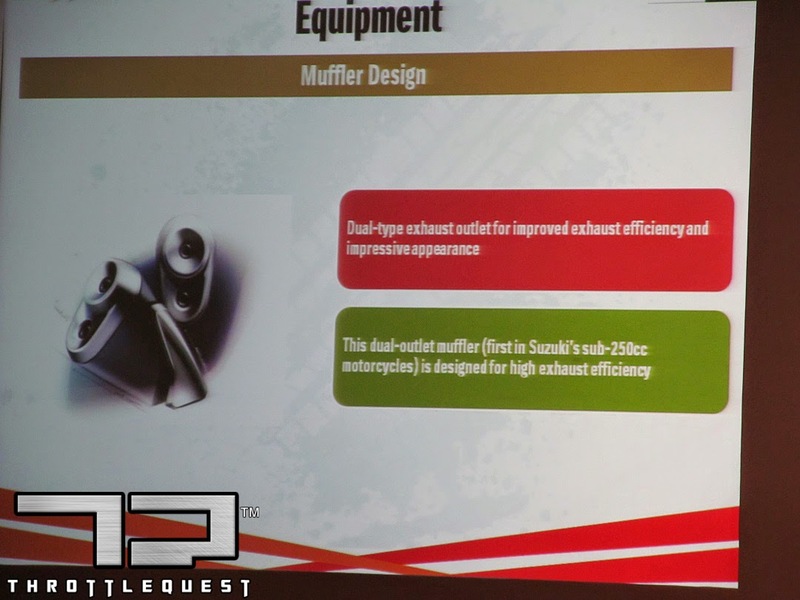 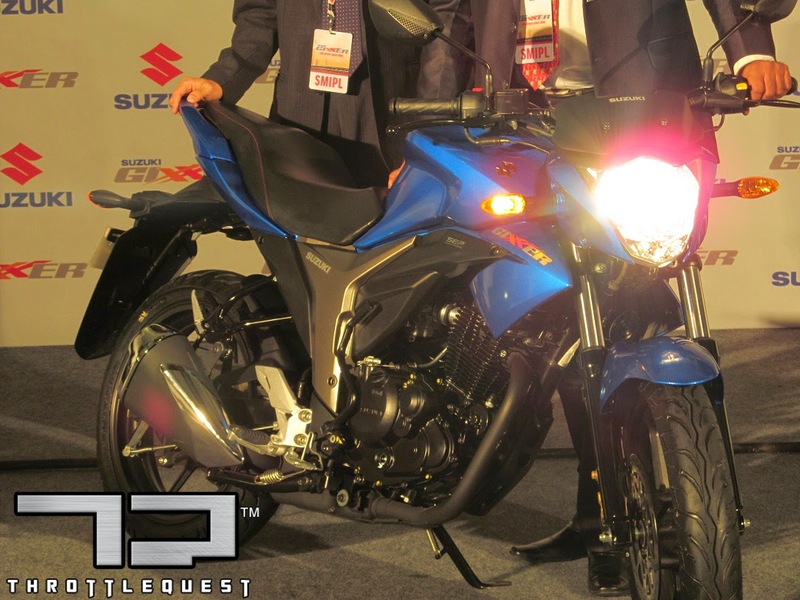 The Japanese company introduced the motorcycle as their flagship for the Indian market. 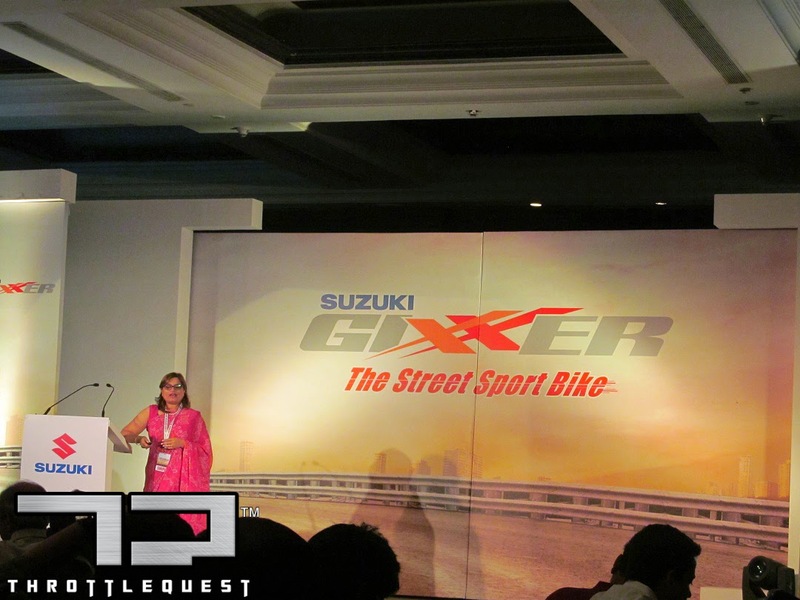 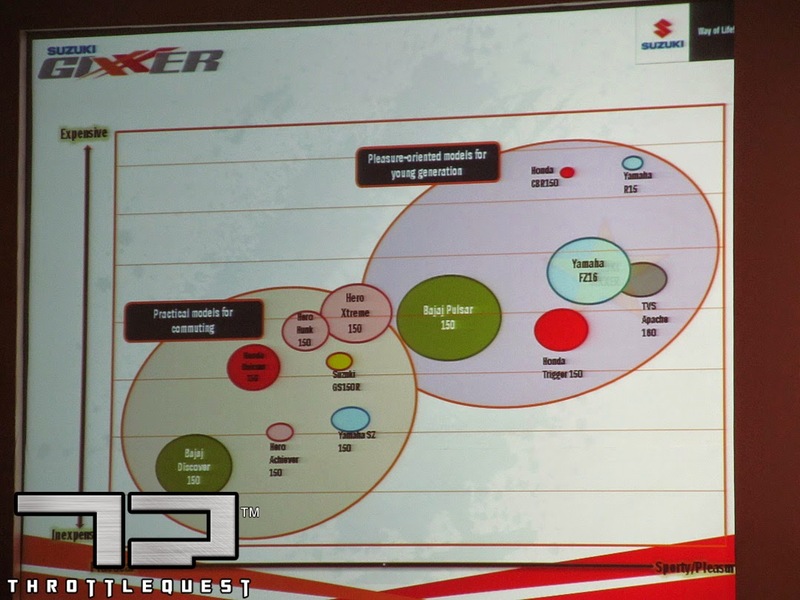 The Inspiration for the name "Gixxer", as one of the marketing heads of Suzuki said, is that Suzuki riders around the world are known as Gixxers and they want to instill the similar feeling when people would ride this motorcycle. 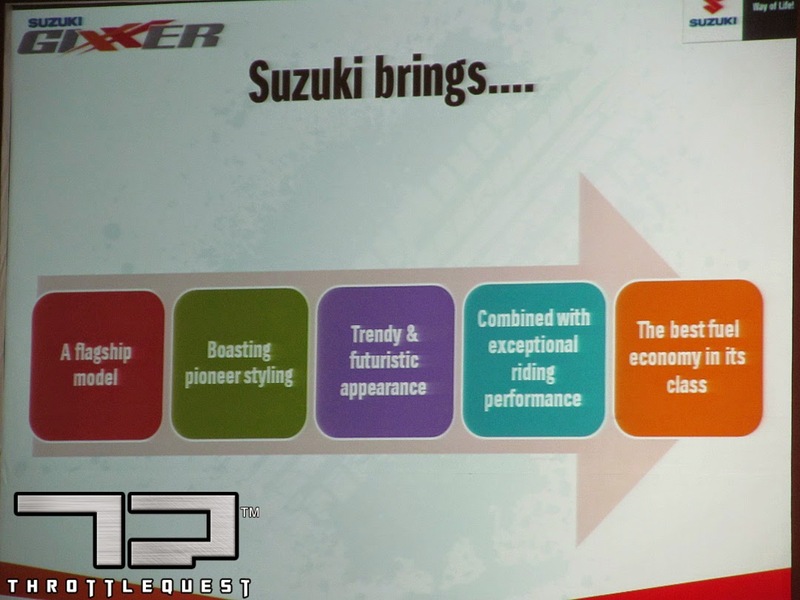 Personally, I feel they could have done with a better name, an alpha-numeric name perhaps, but if this rocks Suzuki's boat then I'm all up for it. 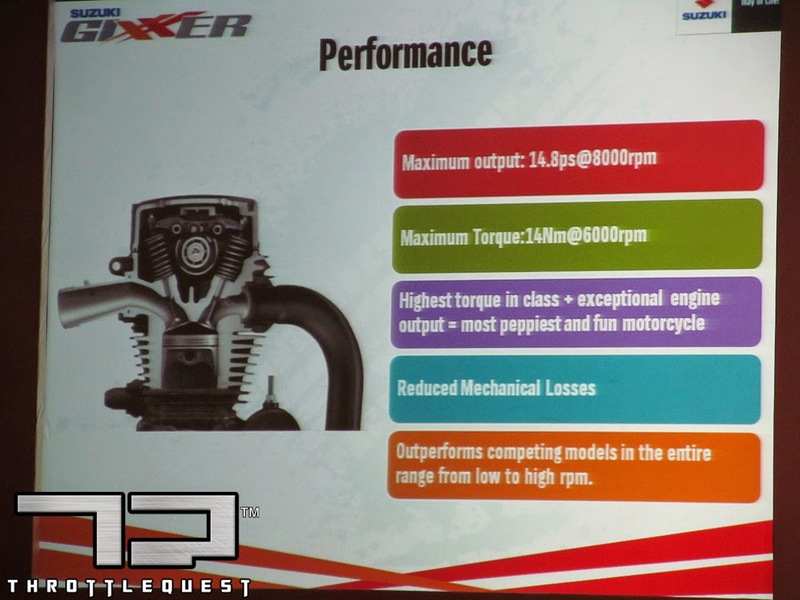 The Gixxer packs competitive specifications for this class with 14.8PS of power @8000RPM and 14NM or torque @6000RPM and the bike weighs 135kgs ready-to-ride. 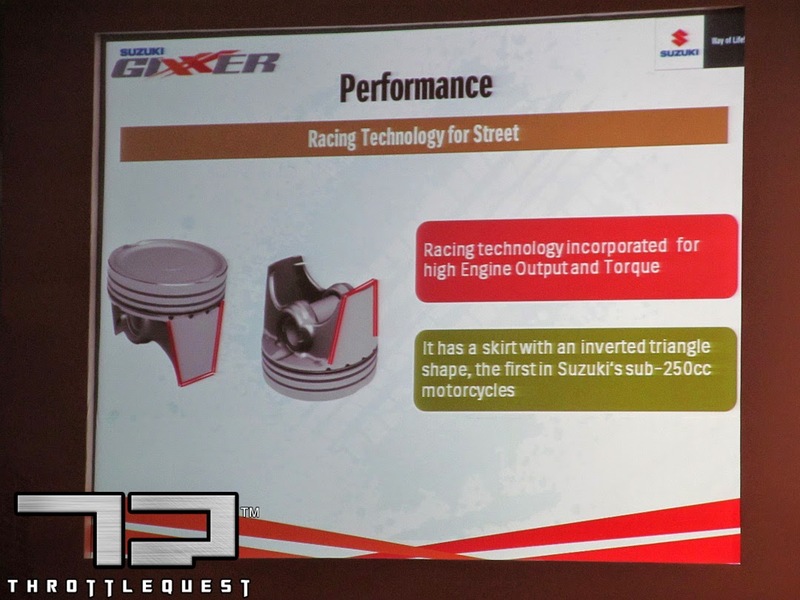 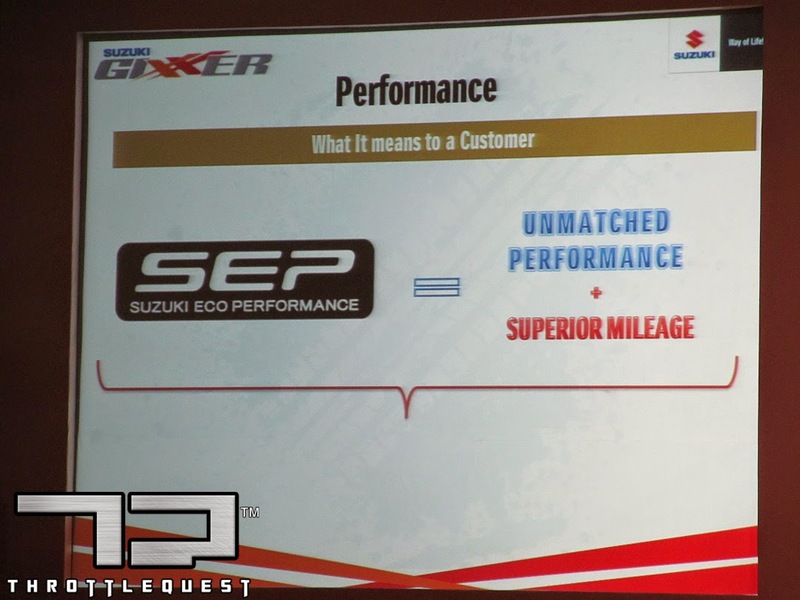 Suzuki claims that Gixxer will deliver around 63kilometer per liter which sounds quite good and to make sure that it gives the best combination of performance and fuel efficiency, it is packed with SEP (Suzuki Eco Performance) technology. 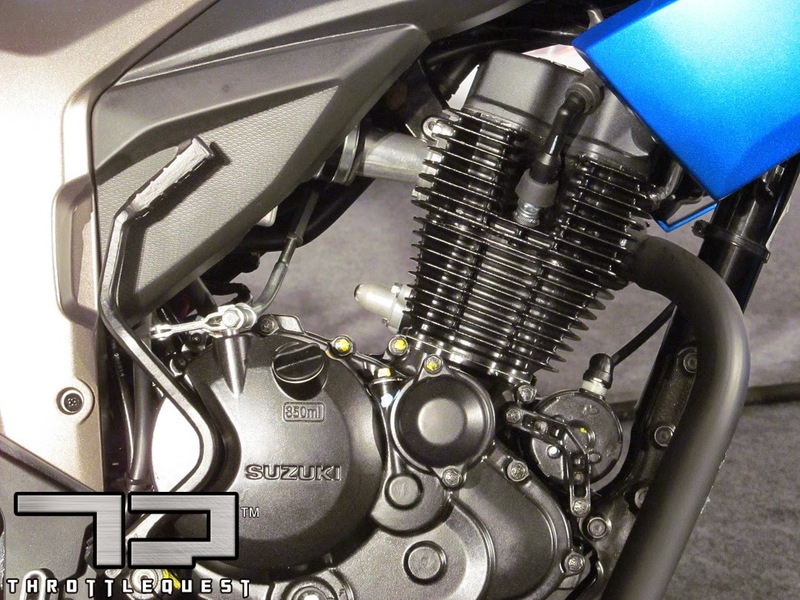 The instrument cluster has typical tell tales and in addition to that the bike also has an gear shift indicator at a particular RPM. 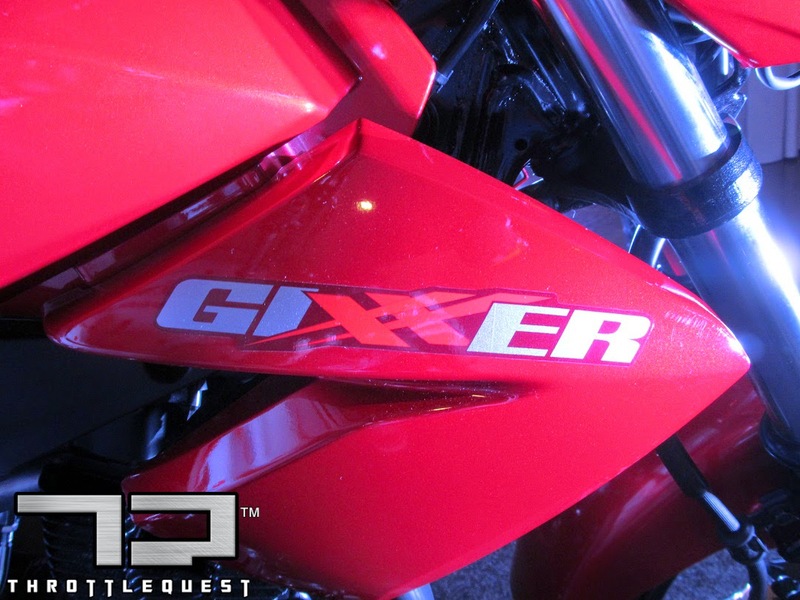 Riders can also change and set the RPM indicator at a different RPM as per their riding preferences or they can disable it altogether. 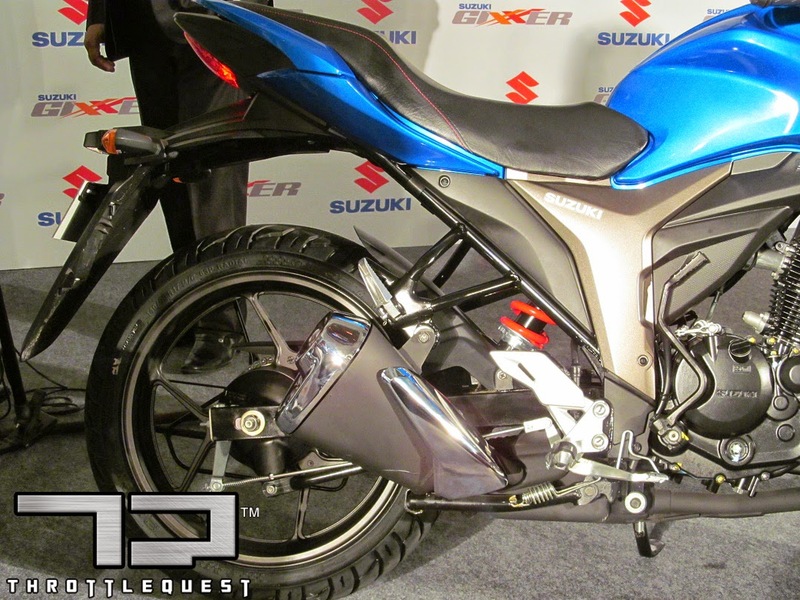 Front suspension has thicker 41mm forks and front and rear tyres are of 100/80-17 and 140/60R-17 respectively. 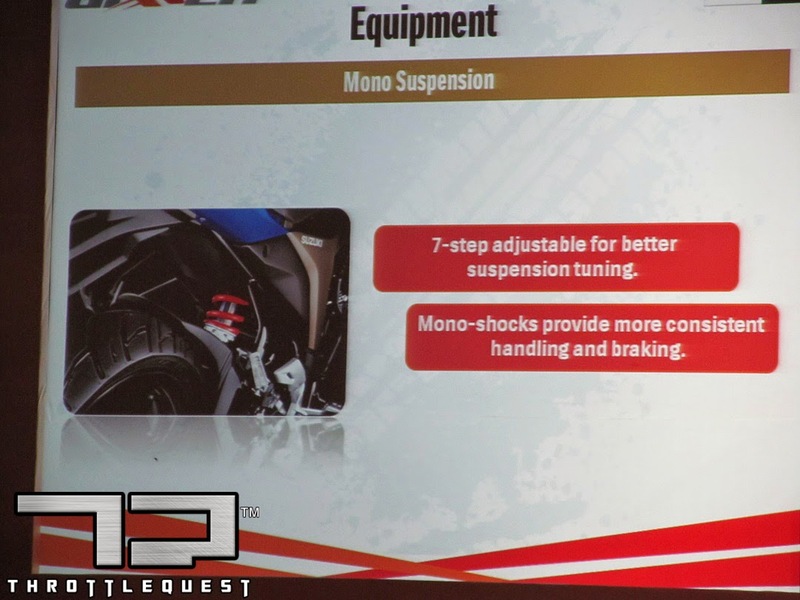 A mono-shock does the duty at the back to provide a comfortable ride. 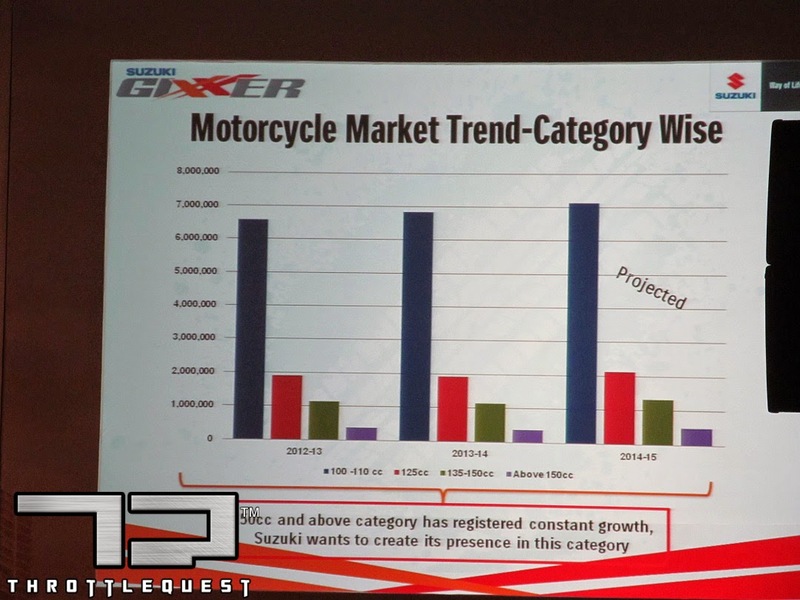 When I asked company heads, during the Q/A session, if Yamaha FZ (16) has been their primary target while developing the Gixxer since specially the front suspension and tyre specifications match exactly with the small Yamaha, they replied with a yes without hesitation. 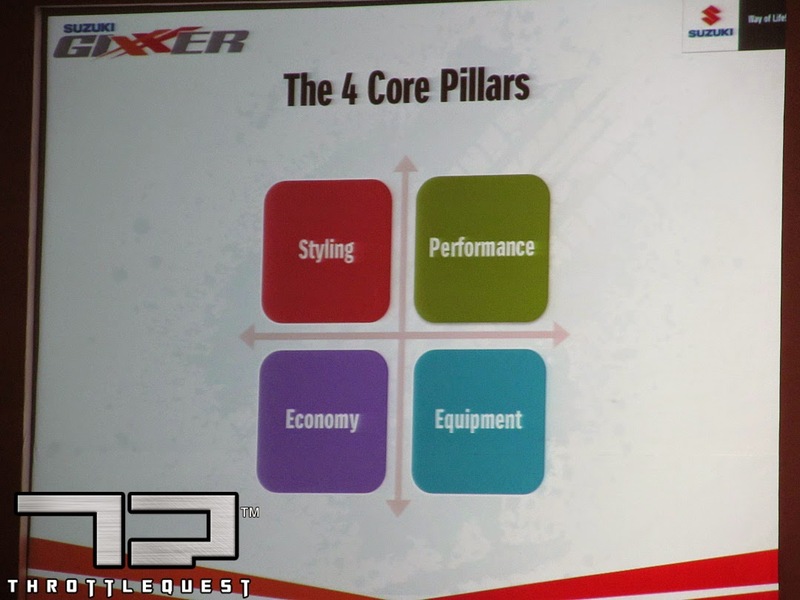 I liked that. 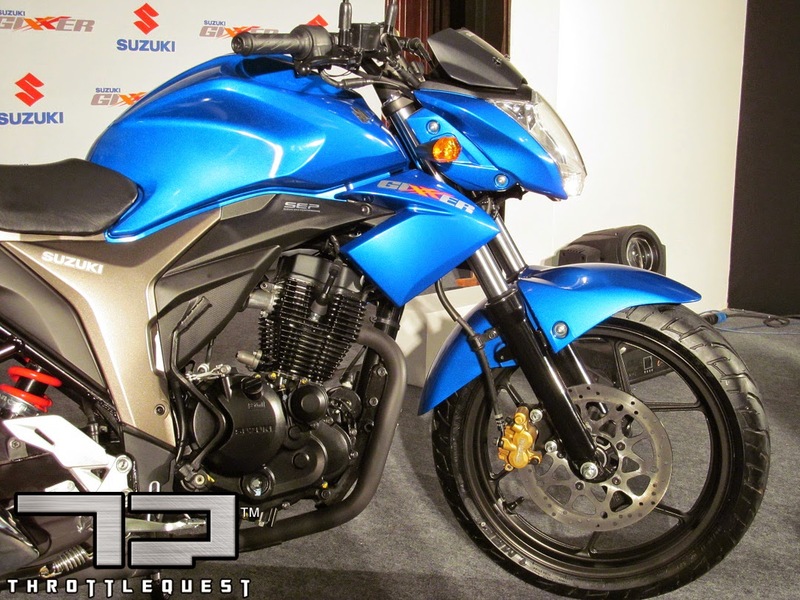 Gixxer is priced at Rs 72,199 ex-showroom Delhi which appears to be a pretty competitive pricing especially when the new FZ 2.0 are priced on the north side of 80,000 on road. 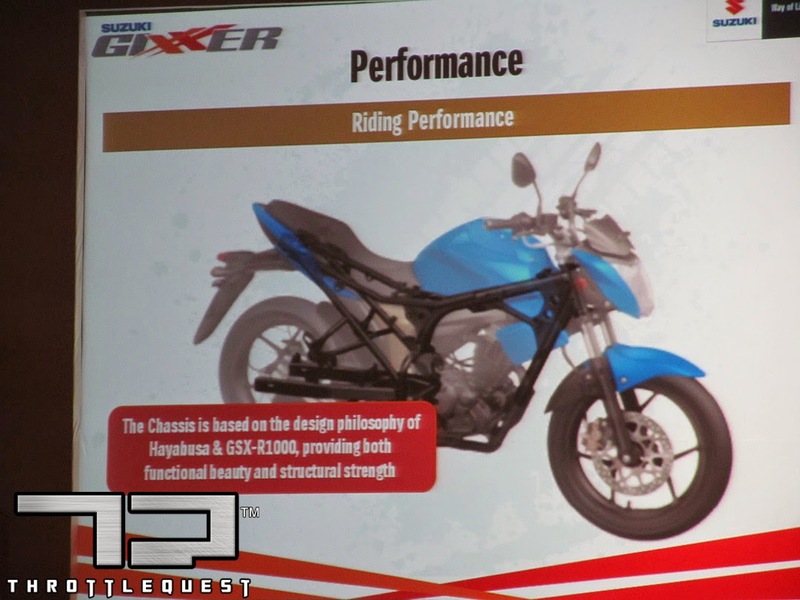 Gixxer has slightly powerful horse power and torque figures but the new FZ has fuel injection on its side. 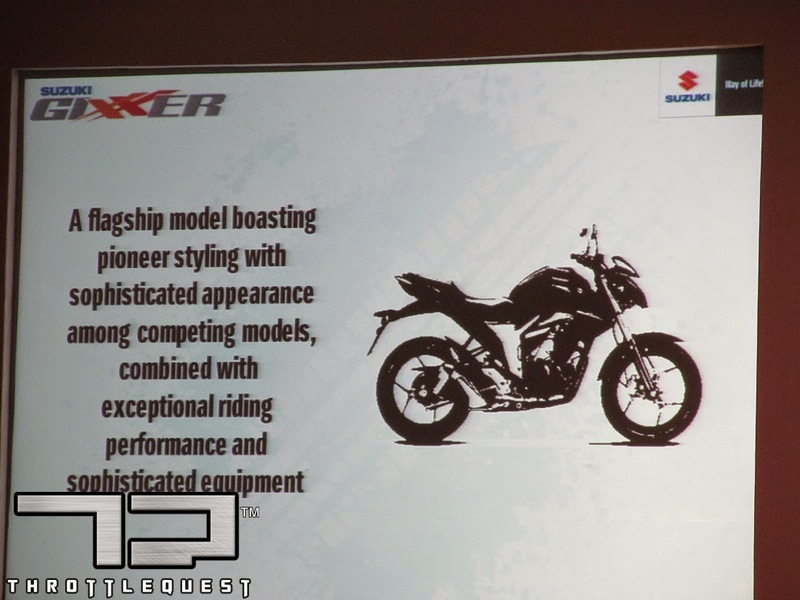 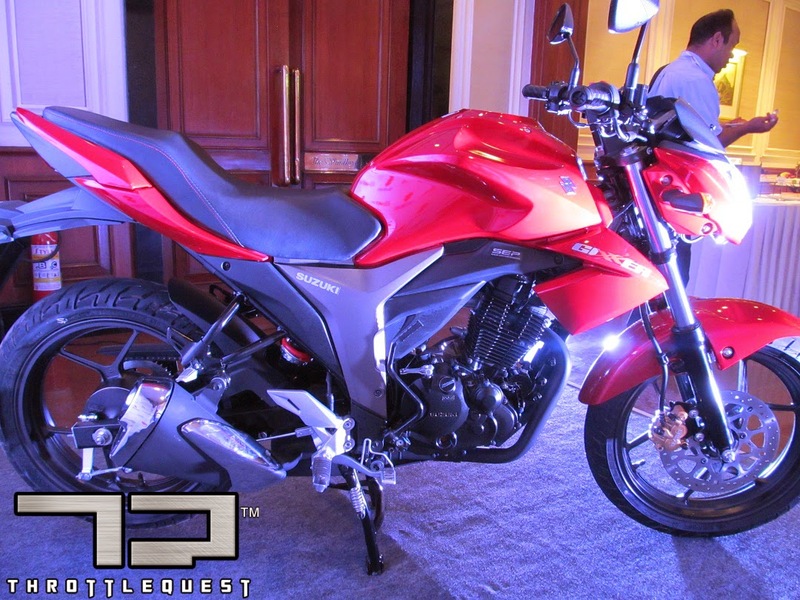 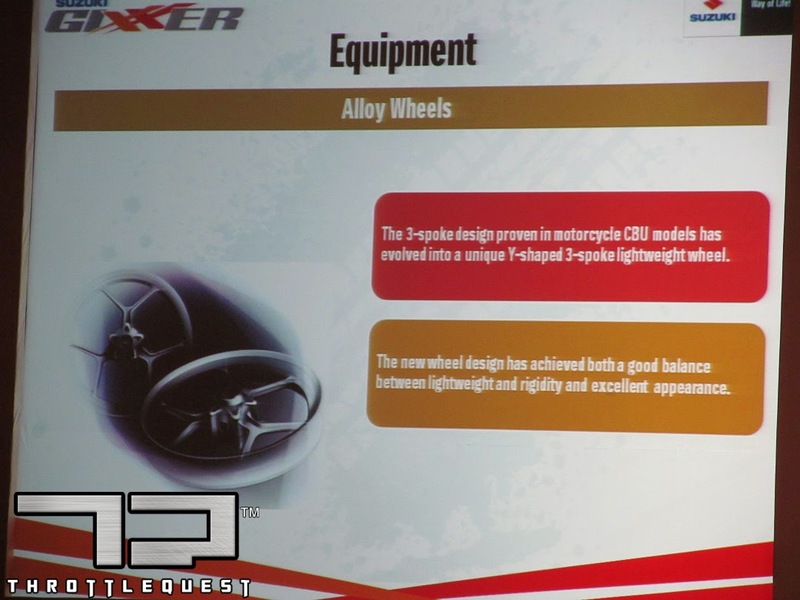 The Gixxer looks fresh and seems to be the first proper rival to the Yamaha FZ in terms of approach. 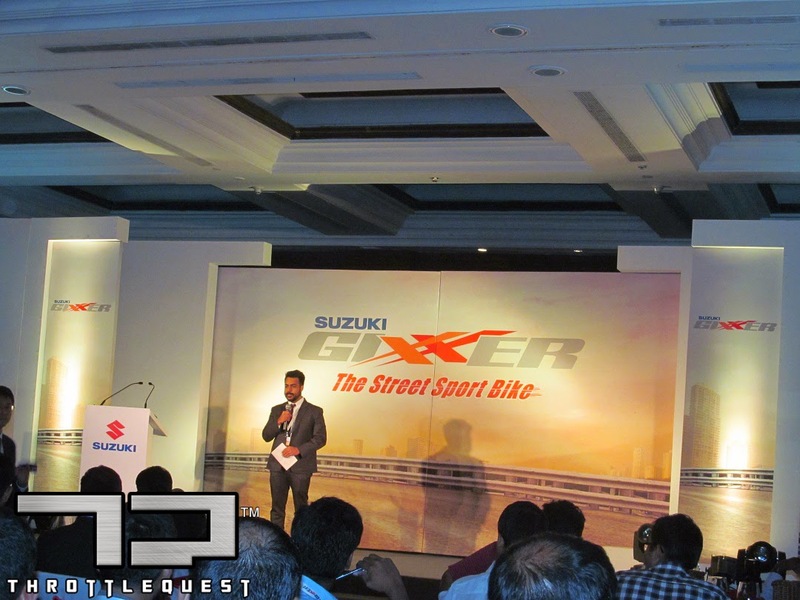 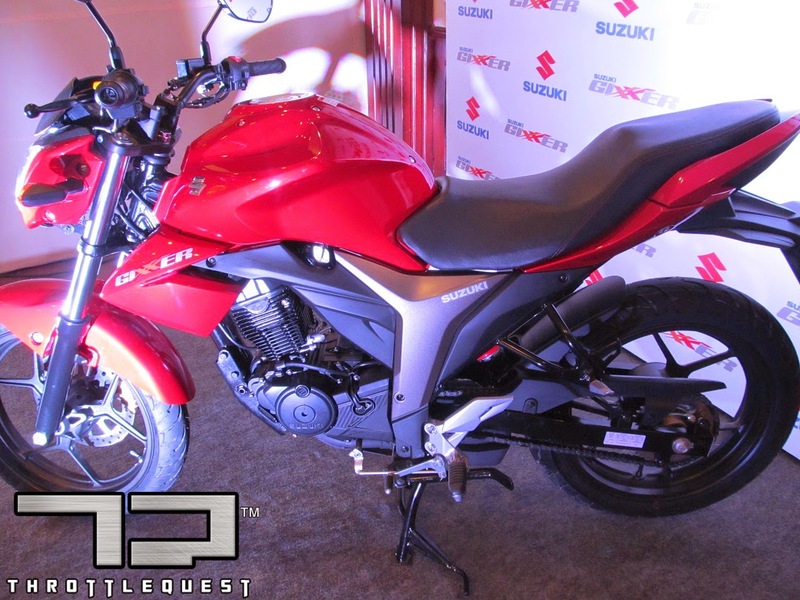 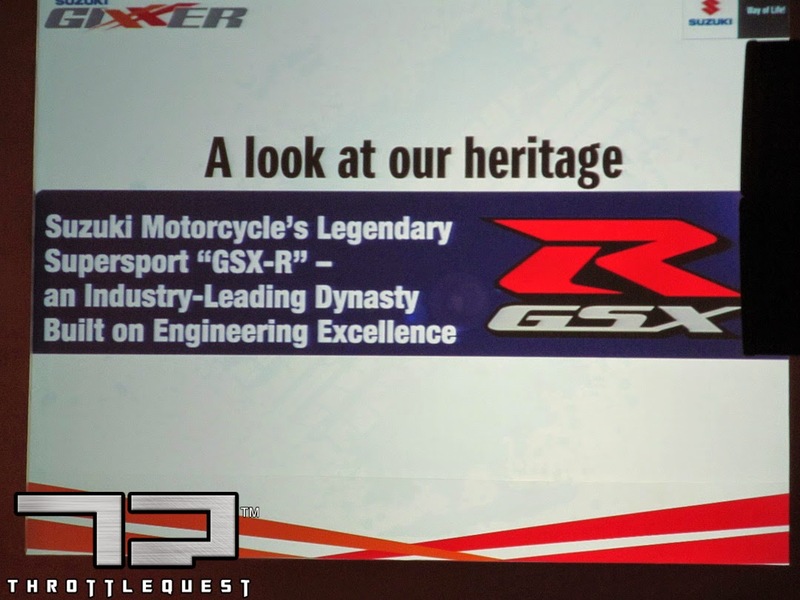 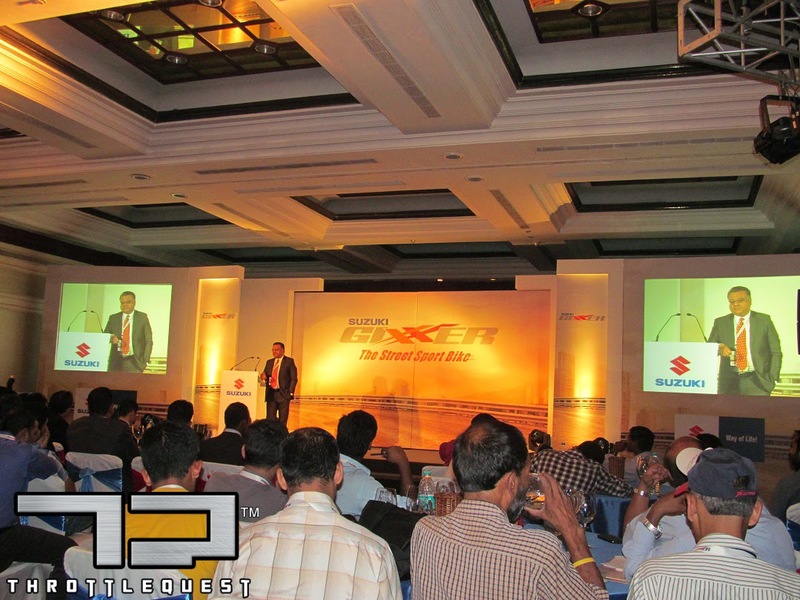 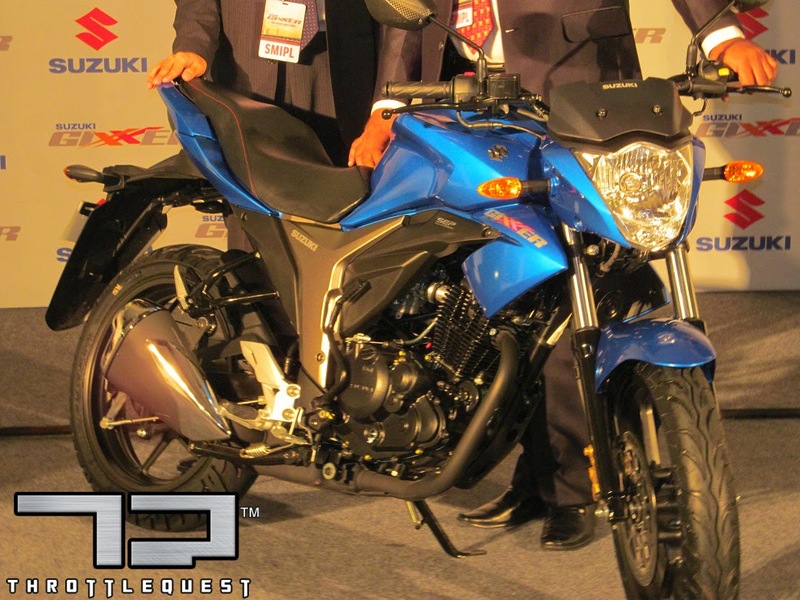 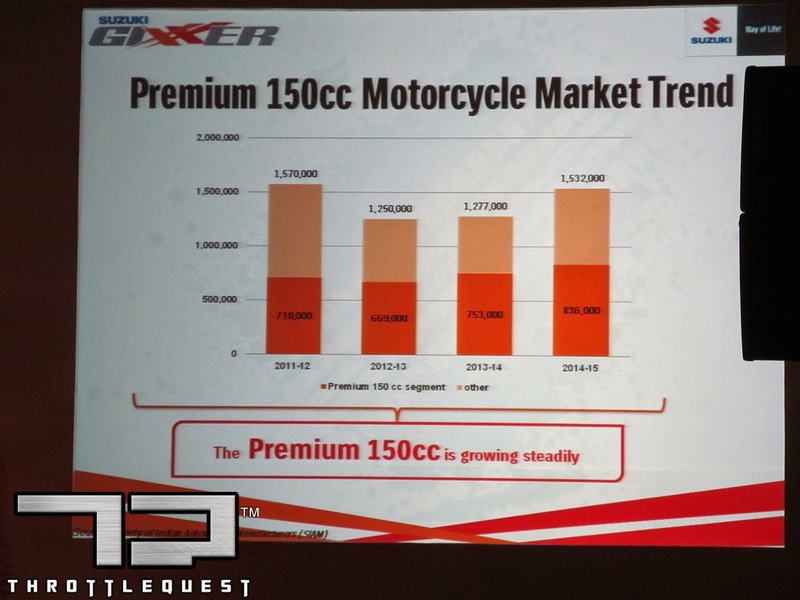 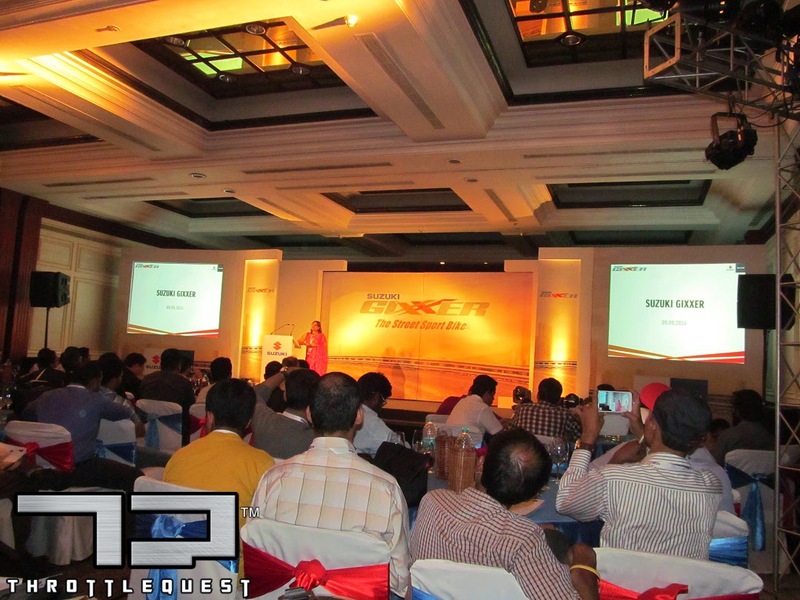 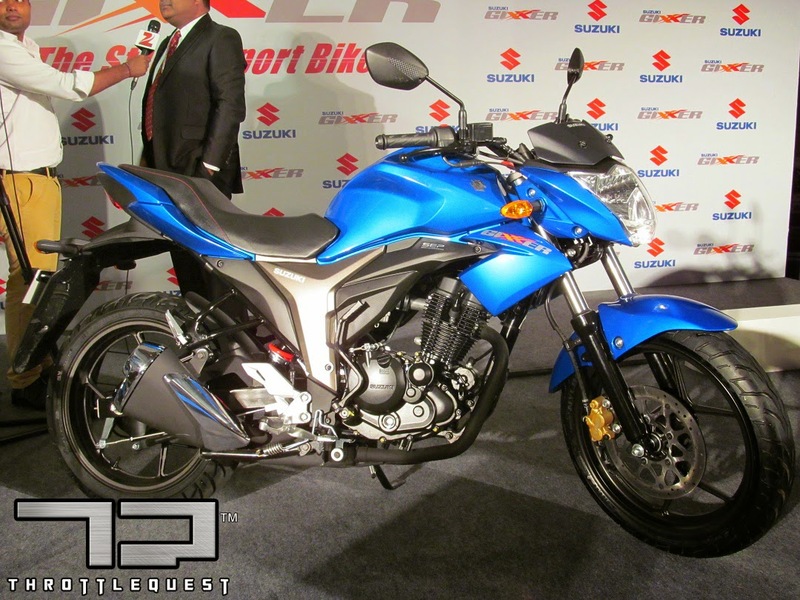 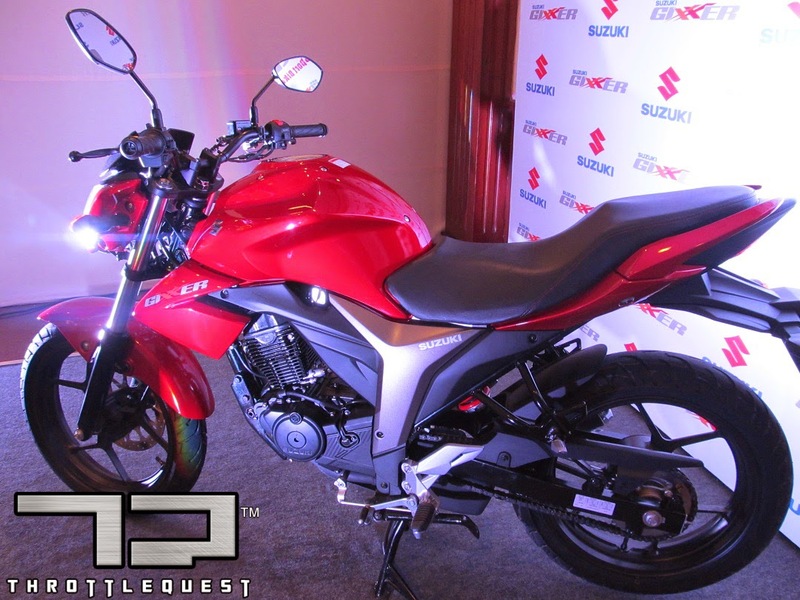 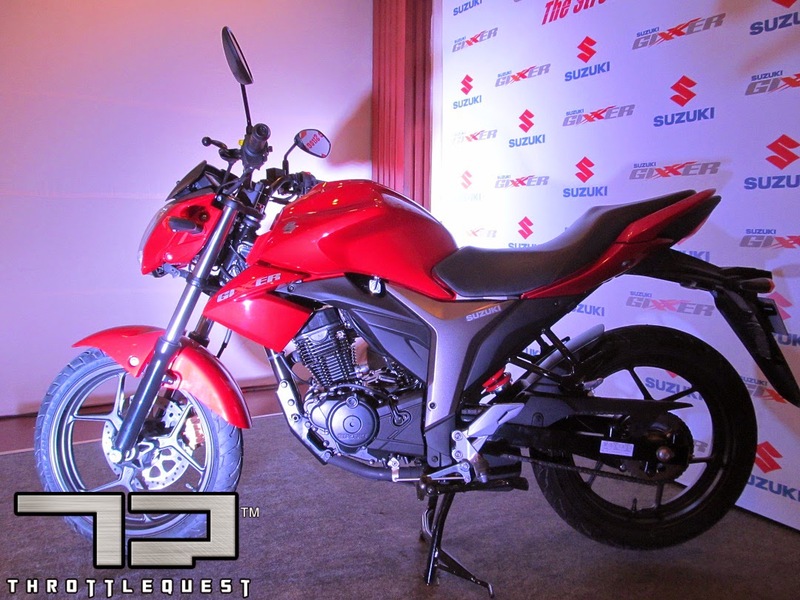 The ThrottleQuest team wishes Suzuki all the best with their new offering in the hot 150cc segment.